This day is all about the birthday boy. Featuring Cakes, candles, gifts , streamers and birthday hats, these beautiful balloons will create a bit of magic and make the birthday boy feel so special on the occasion. This is one day when the birthday boy is the centre of everyone’s attention. Recommended for the memorable birthday ever !!! Important information: 10 pieces in a pack , Birthday Boy theme Screen Printed All Over, 30 cm or 12 inches dia in size, Pastel Yellow, Light Blue, Blue, Lime Green and Red color assortments*, Volume 14.4 Litres with Floating Time of 20 hours**. Do not over inflate or expose balloons to extreme heat or they can burst. 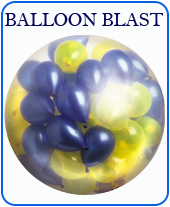 Please take a look in our shop for more such exclusive Party balloons.